It's that time of year when my blogging gets slack because I am teaching ESL to visiting Japanese students. So it's also the time of year that we make our koala brooches. This one is made by Shizuna - she added the eyelids - so cute! 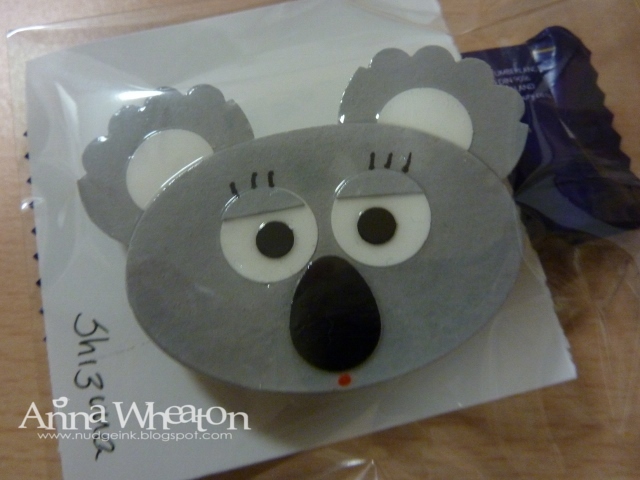 And she also fiddled around with the scrap cardstock and the punches and made her koala a baby! So extra cute. 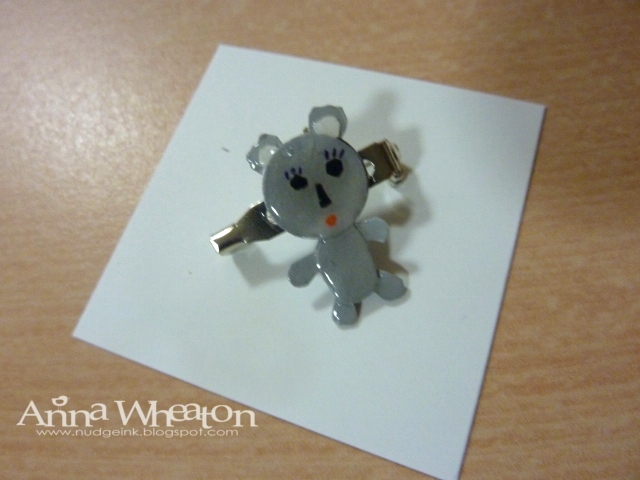 Of course we had to put a brooch back on it as well. There are so many things you can make in Punch Art using our huge range of punches. And Crystal Effects is the wonder product that gives these their shiny finish.